What is the It Takes Two to Talk® Program & what does it offer? It Takes Two To Talk is a parent training program aimed at parents of children with a language delay. At EarlyEd, It Takes Two to Talk® is run by our Hanen® certified Speech Pathologists. This course includes parent groups to learn the strategies, and home appointments to help you practice them with your child. This provides parents with the tools, strategies and support to help their child reach their full communication potential. Where does the program occur? At EarlyEd this program is offered through parent group sessions and some home appointments. Hanen® and It Takes Two to Talk® principles will be embedded into these sessions and into the intervention approach. Here you can discuss the communication goals and specific strategies you need for your child. At EarlyEd we use a family-centred approach, which means that we offer services that suit you and your child’s current needs. EarlyEd can help you and your child to generalise the skills learnt in It Takes Two to Talk® to other settings such as childcare or playgroup. You may also need EarlyEd to give you support in other areas not covered in the It Takes Two to Talk® program, such as toileting or motor skill development. Why Are Parents involved in the It Takes Two to Talk® Program? Through the It Takes Two to Talk® program, you learn practical, enjoyable learning strategies that are easy to understand and implement to help your child communicate and interact during every day routines and activities such as meal, story and bath times as well as play activities. 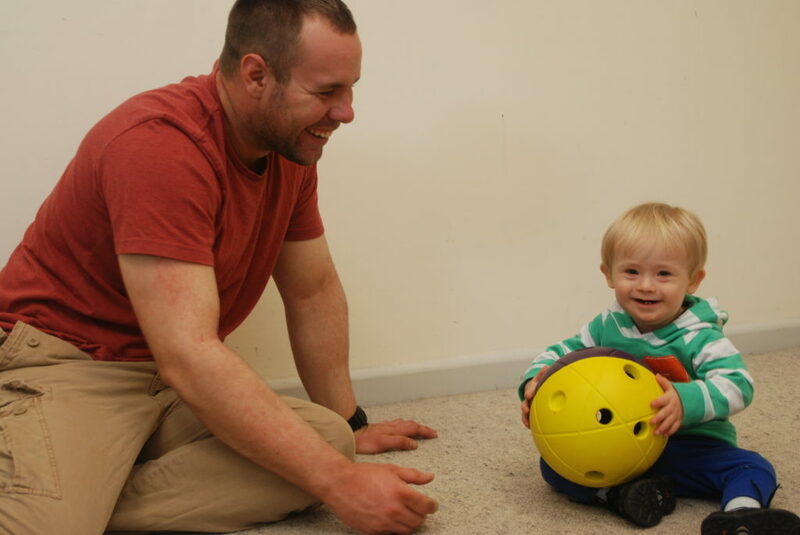 Using a natural approach to learning communication in everyday life helps to give children the best possible start to their communication development. This program is based on many years of research which shows that when children are allowed to take the lead in an interaction on a topic of great interest to them, they will be encouraged to continue in that interaction, and will learn from that interaction. A child can develop their communication skills as they get practice and receive feedback in a concrete and comfortable situation. When you participate in the It Takes Two to Talk® program at EarlyEd, concrete strategies that are easy to understand and put into practice will be discussed, and our Speech Pathologists will show you how they can benefit your child’s overall communication skills. To express interest in attending this program, for times and locations, or to find out more please contact us.